My full time job has been keeping me very busy these months but now that the holiday season has approached, I am having a little break with my family on the mountains which means I have time to bake again! 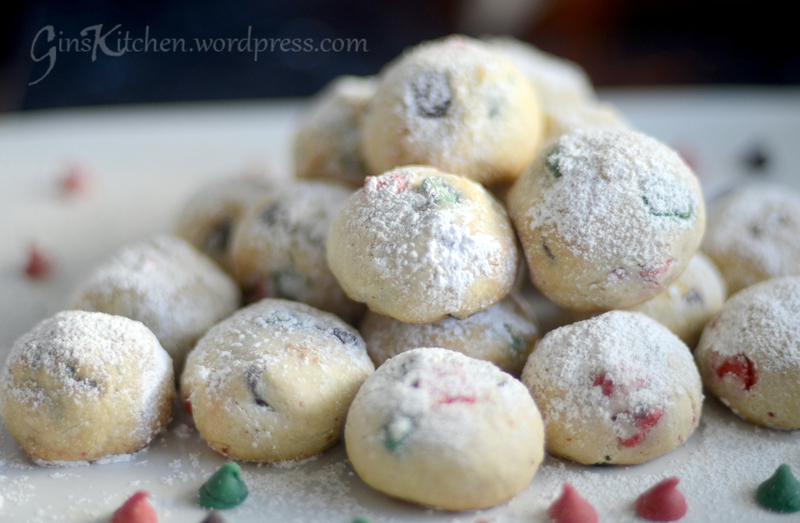 I remember a friend gave me these holiday snowball cookies last year and they tasted sooo good so I searched for the recipe and found it on the ‘Very Best Baking by Nestle’ website. It was such a simple recipe and didn’t take too much effort. Beat butter, sugar, vanilla extract and salt in a large mixer bowl until creamy. 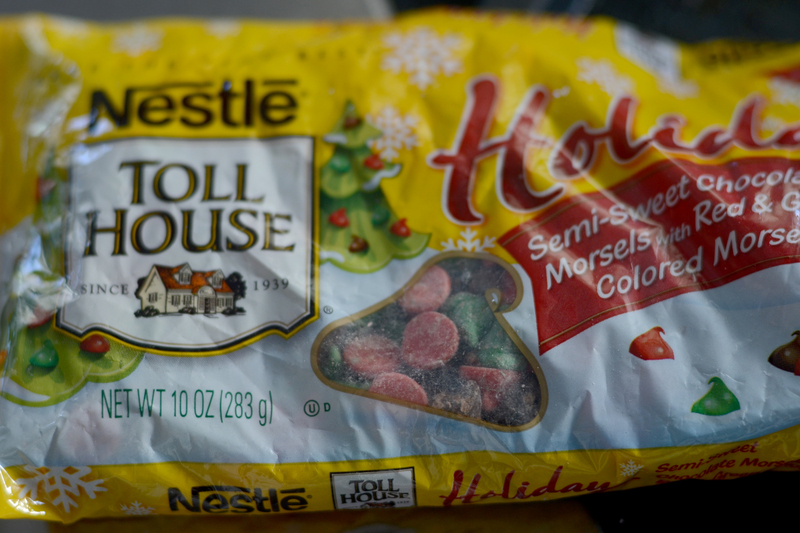 Gradually beat in flour; stir in morsels and nuts. Shape level tablespoons of dough into 1 1/4-inch balls. Place on ungreased baking sheets. 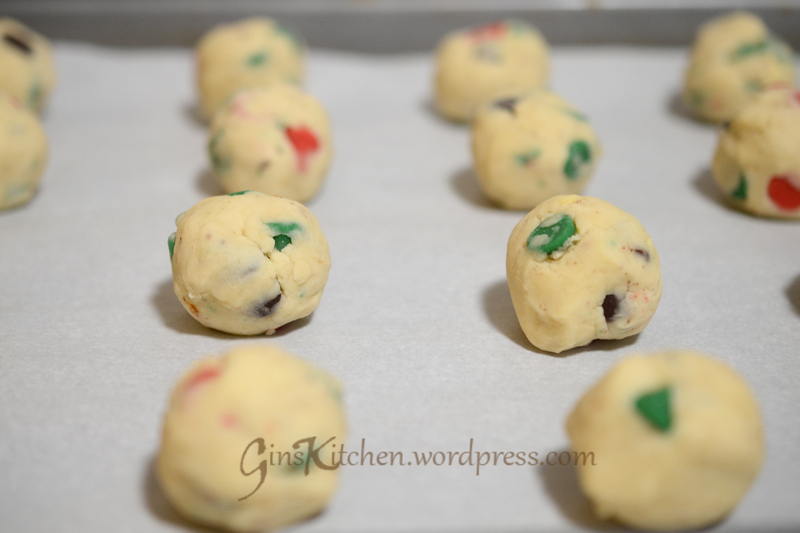 Bake for 10-15 minutes or until cookies are set and lightly browned. Remove from oven. Sift powdered sugar over hot cookies on baking sheets. Cool on baking sheets for 10 minutes; remove to wire racks to cool completely. Sprinkle with additional powdered sugar, if desired.